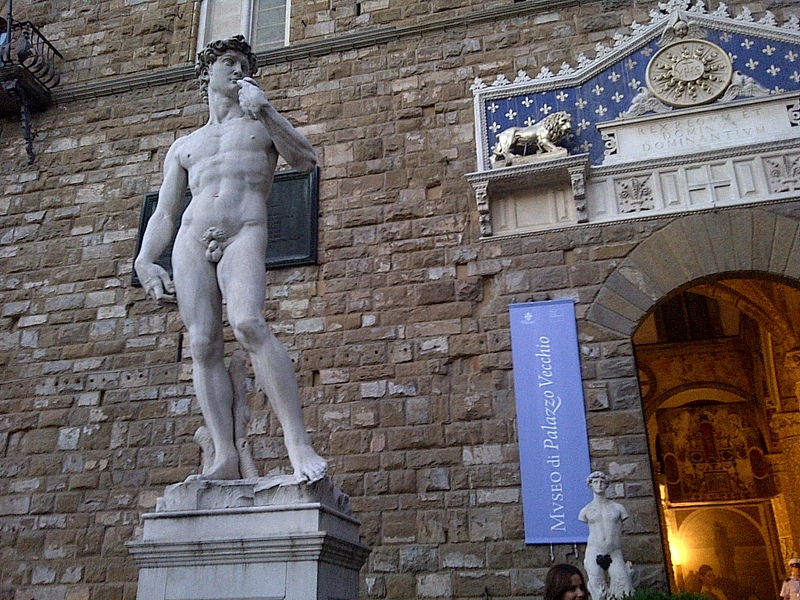 Michelangelo’s DAVID copy in the Piazza della Signorie. Florence, Italy. June 19, 2013. Just before the beginning of the TUSCANY tour.